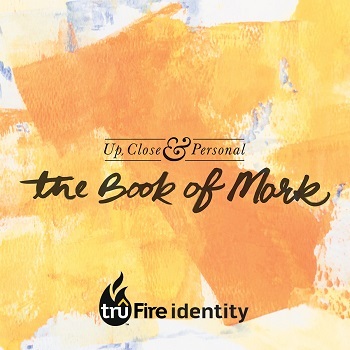 This eight-week series takes students on a journey of discovery through the Book of Mark. The goal is to answer the question: Who is Jesus Christ? Both biblical and secular history records His presence as perhaps the most influential person who ever walked the face of the earth. Nearly everyone has an opinion about Jesus, but who is right? Through this series, students will look deep into the account of someone who was close to those who followed Jesus during His lifetime. The Book of Mark points our focus upward to the character and work of Jesus—God Himself in human flesh. We'll engage in the narrative to discover how God took on a human form to be close to His creation; to reveal that He is not just transcendent, but relational and personal. Connect with Faith Community: Students engage with leaders and one another through activities, questions, and personal testimonies. Connect with God: Students connect with God through His Word, worship, and an intentional time of silence as they learn to hear the voice of the Holy Spirit. Teach: Students encounter God, discover His character, explore His redemptive narrative, and hear from the Holy Spirit through relevant messages and innovative videos. Lessons are designed with comprehensive commentary and an exegetical teaching outline so leaders can prepare messages for their students. Respond: Students are encouraged to respond to God’s Spirit and what He is teaching them as they participate in discussions with their peers and leaders. Bless: Through prayer, a portion of Scripture, and words of encouragement, students are sent home with a blessing for their week. At Home Weekly: A resource that equips parents to introduce the weekly God- centered topic and spend time together in God’s Word, prayer, and providing a blessing. Students will come to a Tru Fire Identity lesson ready to continue conversations about God that began at home.